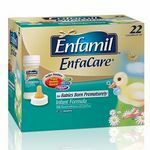 Even though I'm a first time mom, I am familiar with the enfamil brand formula. 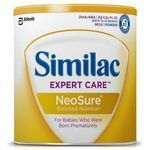 When I had to supplement with my new born, I decided on the gentle ease so my LO wouldn't be constipated due to the iron in the formula. My LO loves 8t, and almost 10 months later, this is all we use. I absolutely love this formula! My baby had a very sensitive stomach got the first few months and couldn't hold anything down, including breast milk. Once we tried Enfamil Gentlease, she gained healthy weight and flourished. I highly recommend this product. 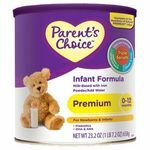 My daughter ended up switching to this after the first formula she used gave her bad gas. This really helped her. 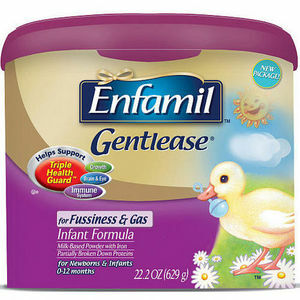 Enfamil Gentlease is the best formula by far! 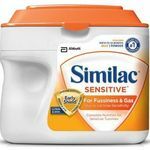 My husband and I went through a few different baby formulas until someone recommended Enfamil Gentlease. Once we tried it out we knew it was the formula for our little one. It helped with his gas and fussiness. The price is definitely worth it! My son has had problems with most formulas. 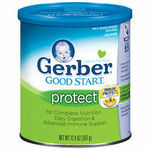 This product is great, he had a easy time digesting it, did not cause gas or constipation. I will be buying this from now on for my little man. I used this for my son when I was working and unable to breastfeed him. It was the most gentle on his stomach.